Thank you to KeySmart for providing me with product, free of charge, in exchange for my honest review. All thoughts and opinions shared are my own. We've all been there, every once in a while something pops up in our Facebook newsfeed telling us that a friend (or a few) like a certain product. I usually ignore these types of notifications because I'd rather hear my friends tell me about the products they like directly. However, earlier this month, I was completely intrigued by this neat looking doodad called KeySmart. 2. Our readers need to know about this! I went on to visit the KeySmart website and found out that this product actually launched on Kickstarter in early 2013 (where was I?). The creator of KeySmart, Mike, was determined to come up with a solution to the bulky key ring. He spent months working on prototypes, testing them out, and working out the kinks until eventually KeySmart was born! Matt Was Definitely Looking Forward to Opening This Mail! I went ahead and made the arrangements to get my hands on a KeySmart, and once everything was in motion I decided that Matt could probably use this more than I could since he wears his keys on his belt loop and the jingling sound can become a bit irritating. All of Matt's Jingly Keys Before KeySmart! Another Reason KeySmart is So Great is That It's Made Right Here in the USA! We received a standard sized black KeySmart that would hold 2-8 keys. Matt got to work preparing the KeySmart and removing the keys from his current key ring. Now, assembly is supposed to be pretty quick and easy, but Matt did drop some spacers a few times. So. while assembly was definitely easy enough, it wasn't so quick for us. Now that we know exactly what to expect, I think I'm going to end up ordering a couple more. I definitely want one (they come in purple!) and I think I might get one that holds a few more keys for Matt. I'm also thinking ahead to Father's Day and possibly ordering one for each of our fathers. Head on over to the KeySmart Website and see which one would best fit your lifestyle. There are a variety of size options and colors to choose from. You can even add some accessories like a Bottle Opener, a USB, or a Quick Disconnect so that you can still wear your keys on your belt loop (or attach them elsewhere). 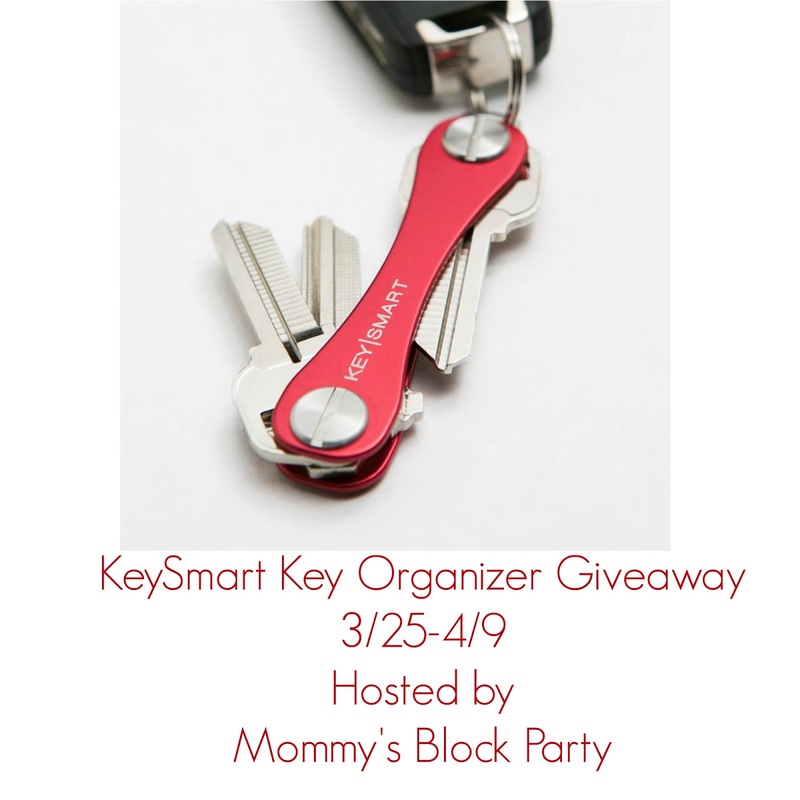 Be sure to connect with KeySmart on social media as well. You can find them on Facebook, Twitter, Pinterest, and Instagram. Thanks to our friends at KeySmart, one lucky MBP reader will be winning a KeySmart of their own! This giveaway is open to US residents ages 18 and older. Use the handy RC form below to enter for your chance to win. MBP is not responsible for prize fulfillment or shipment. Please see our policies page for details. I would go with the basic black since this would be for my husband. My husband needs this for his keys, so I'd definitely give one to him. My hubby needs this, so he'd definitely get this. My adult son might like one as well! My husband would like this, my adult son might as well too! my son and my husband would both enjoy a key organizer like this.